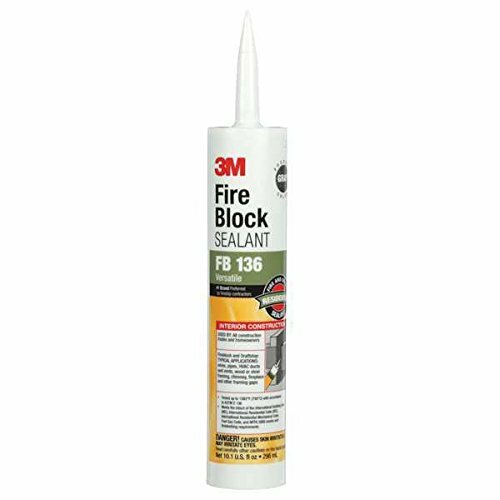 3M FB136 Fire Block Sealant Gray, 10.1 Oz. Product can be installed with a standard caulking gun or it can be easily applied with a putty knife or trowel. 3M(TM) Fire Block Sealant FB 136 will bond to concrete, brick, metals, wood, plastic, and cable jacketing. 3M(TM) Fire Block Sealant FB 136 meets current International Building Code (IBC), International Residential Code (IRC), International Residential Mechanical Code, International Fuel Gas Code and NFPA 5000 draft, smoke and fireblocking requirements. View More In Prep Materials. © 2019 - parishvfc.org. All Rights Reserved.